Ahhh, Pleasanton. 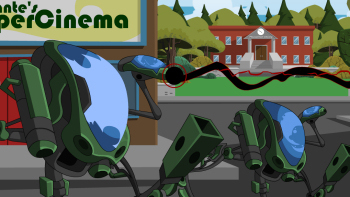 What a cute little town known for its quaint shops, friendly old ladies feeding birdies, and… MASSIVE Time Sentinel robots?!? Something is making things a lot less pleasant in Pleasanton! And it’s up to you and your super buddies to figure out who—or what—is behind the onslaught of invading Time Sentinels. A very frightened citizen is waiting for you in Overlook Towers who will guide you to the troubled town. 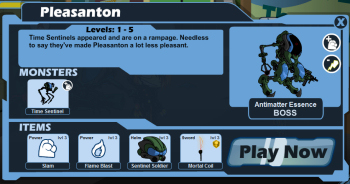 Pleasanton is the first chapter in a 5 part storyline that we’ve dubbed “Story Zero.” In the weeks to follow, a new chapter will unlock, allowing you to progress further throughout the storyline in a whole new zone full of new monsters, minibosses, and missions. We’re calling this “Story Zero” because it will be our first main story that will set the stage for the manymanyMANY new adventures to come! What’s better than earning Fame, Experience, and Reputation for the Missions you complete? …Earning equipable Powers for all your hard work! Pleasanton’s Heroic and Villainous PNPCs—Hydraon and Darcron—will be awarding you with your choice of Powers after completing select missions: Slam, Flame Blast, Mental Blast, and Shock. All of these Powers are set to low levels so that every player, new or veteran, will have a chance at earning some free power abilities. Now that’s what I call SUPER! 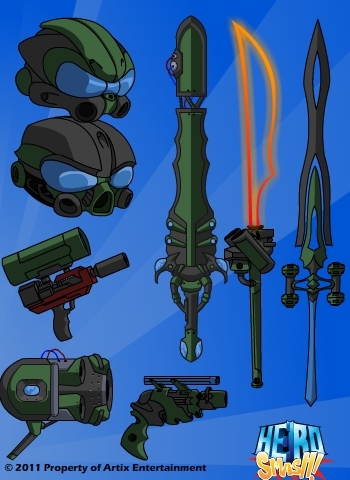 Sure, Pleasanton may be the new home for Time Sentinels…but it’s also home to a handful of new items! That, my friends, is called a Dossier. A Dossier is a file that contains a detailed record on the perilous zone in which you are about to embark. The Dossier will enlighten you on some important facts to each zone, ranging from zone bosses to monster strengths and weakness to a preview of a few obtainable items in that area. How helpful! Dossiers have also been implemented in each zone throughout the game. Make sure to check them out! 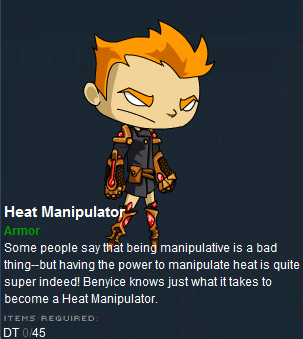 Let’s give a warm welcome to the newest player suggested item: the Heat Manipulator! The Heat Manipulator armor was inspired by our fellow player Benyice and is available in both the HeroSpire and SkullDeep Kiosks for 45 DTs. It looks like the Lava Temptation armor might have a heated rivalry against the Heat Manipulator! Which one is your favorite? WHEEEW! That sure is a lot! Now, enough PINK… onwards into battle!